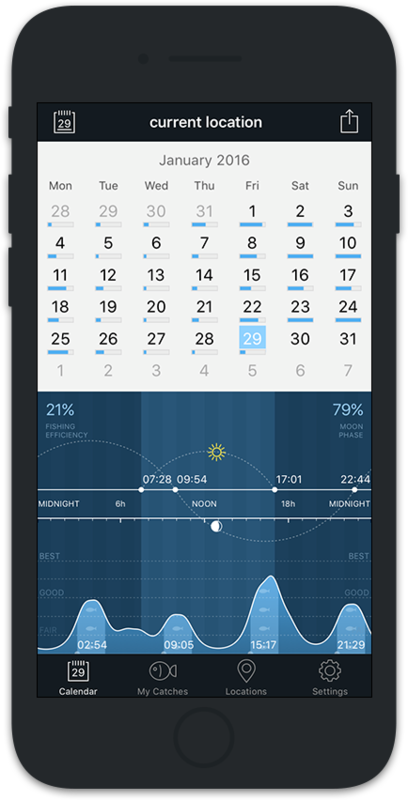 Fishing Calendar is a advanced Solunar prediction calendar that shows you the best fishing times for any location at any time. Every angler knows that the best bite times are when the fish are feeding, typically at dusk and dawn. But there are other factors to consider. With the help of a Fishing Calendar you will increase your catch!